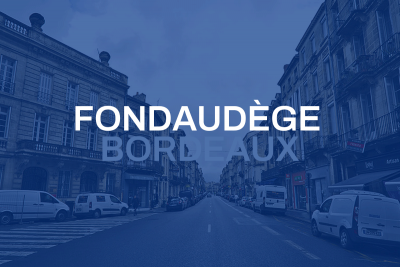 Starting at the top of allées de Tourny, the rue Fondaudège is a major artery that lays to the north west of the city and runs in a direct line until the Barrière du Médoc. With a true inner city feel, this neighbourhood historically once was a district of tanneries and sits in close proximity of the ancient Roman arena of ‘Palais Gallien’. Today, the community consists of 3500 inhabitants with the average age being 36 years old. You’ll be hard pressed to find a house with a garden though, as only 17% of residents can lay claim to their own patch of lawn, leaving the rest of the population living in apartments. The rue Fondaudège is in the midst of a major face-lift, with the arrival of the Tram Line D digging up the road surface since 2016. Many residents and shop owners were in heavy opposition at the time of planning. However, with the launch of the new tram line being slated for 2019, and the arrival of the new tram stations (Gruet & Marie Brizard), residents will have a rapid ride into town.